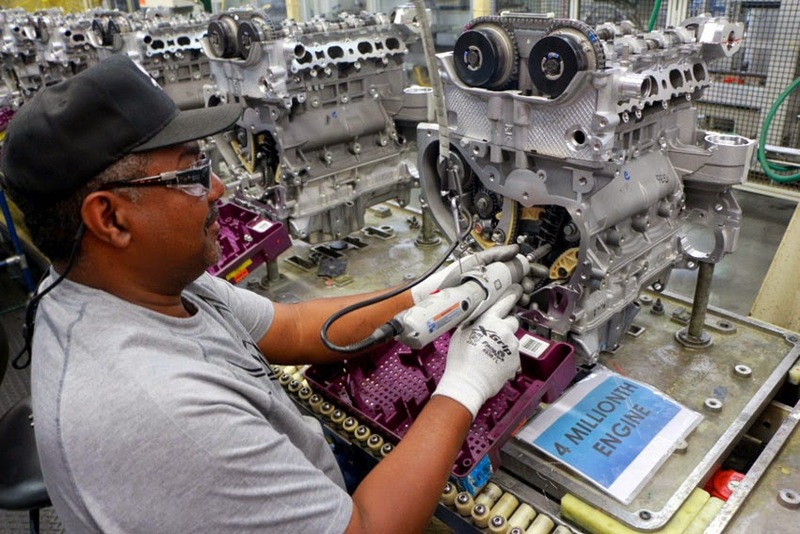 General Motors Spring Hill powertrain plant has produced its 4-millionth Ecotec engine just two years after the 3-millionth engine was assembled. power," said Ken Knight, GM Spring Hill Complex Manager. "These engines represent the best of the best available in today's market, and were proud to produce them in Tennessee." The 4-millionth engine powers the all-new 2014 Chevrolet Malibu Eco. Similar engines built at Spring Hill power the Chevrolet Equinox, Chevrolet Captiva Sport (Mexico), Chevrolet Orlando (Korea), Buick Regal, Buick LaCrosse, Buick Verano, Buick Alpheon (Korea) and Opel Astra (Poland), and GMC Terrain. "GMs continued investment in the Spring Hill engine plant recognizes the skills and the world-class quality that each of the UAW 1853 members build into each engine produced," said UAW Local 1853 Shop Chairman Mike Herron. "We are proud to see our UAW members skillfully building engines for our customers around the world that help power our great GM vehicles and give our customers the power they need while saving money at the gas pump too."